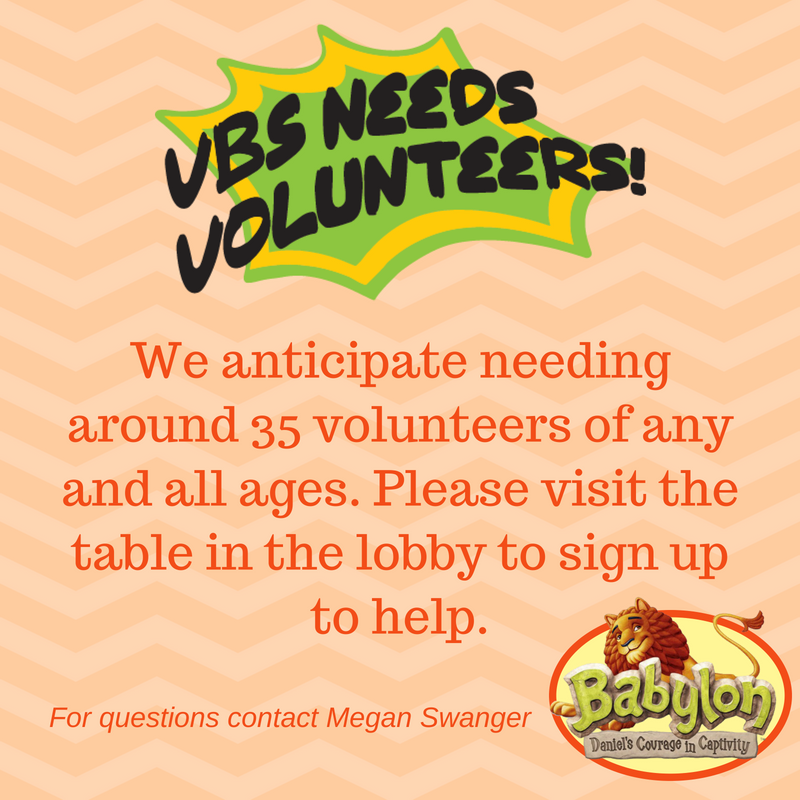 VBS is just a few short weeks away and Megan is gearing up for lots of fun activities. Our theme this year is Babylon: Daniel's Courage in Captivity. The dates are July 8-11 at 6 pm. Megan has a display set up in the foyer with information for volunteers to choose their job. Please visit it for more details. Also, we have a list of a few items needed for decorations. 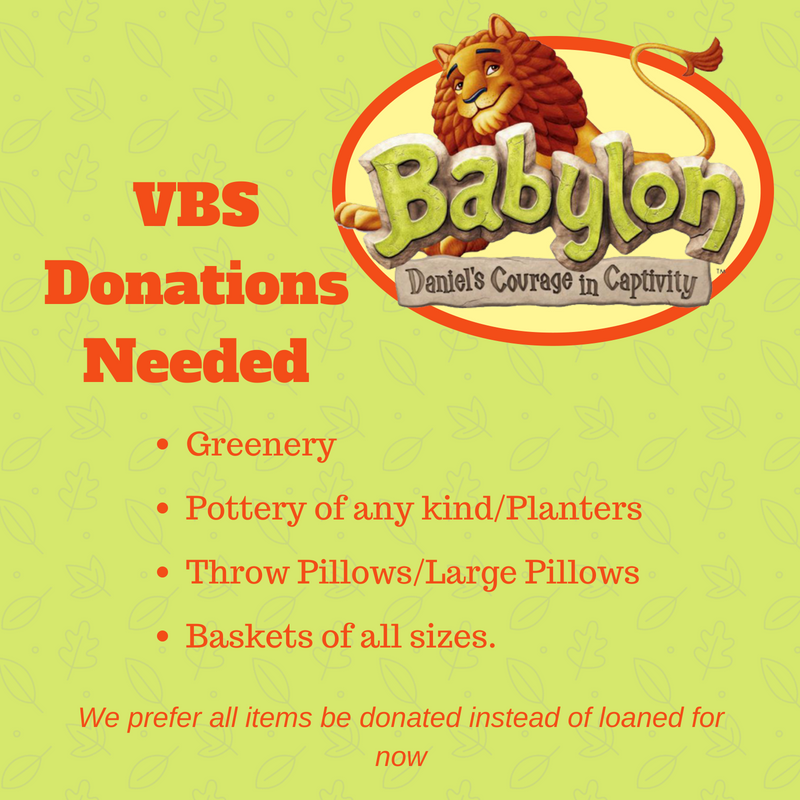 Please see if you have any of these items you could donate.